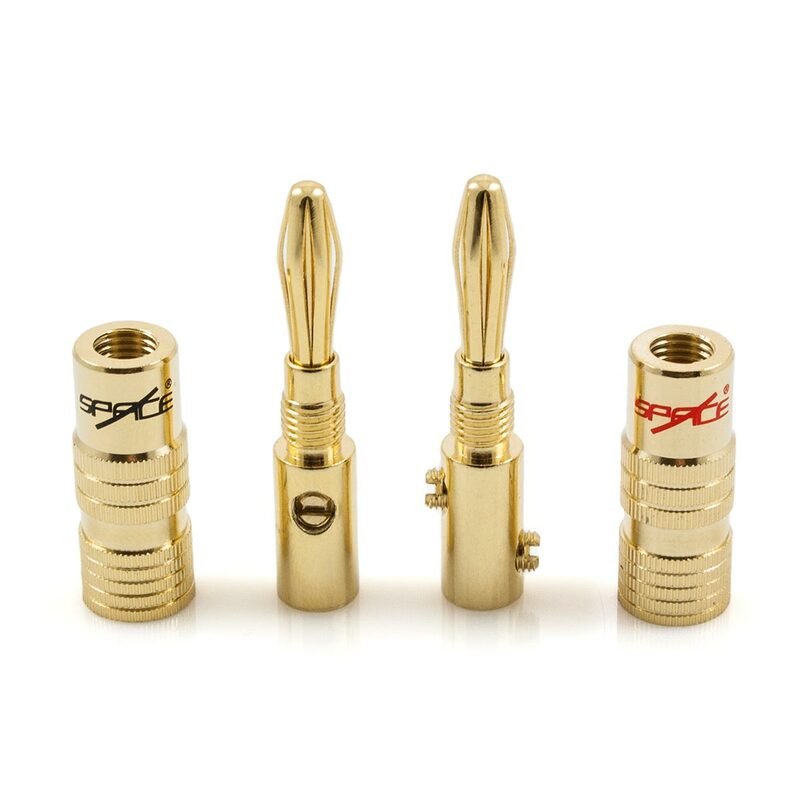 These Dual SpaceLock™ Banana Plugs have been precision engineered to the highest standard of quality. These handy little gems feature a unique solderless design that will ensure installation is quick and easy. The only tool required at your disposal is a small flathead screwdriver, nothing more. Your speaker cable will be terminated perfectly in next to no time. The inner chamber features dual screw locking fasteners that will hold the wire firmly in place and will ensure that there are no loose strands. The outer chamber is then secured over the top with a twisting action, leaving a perfect finish. 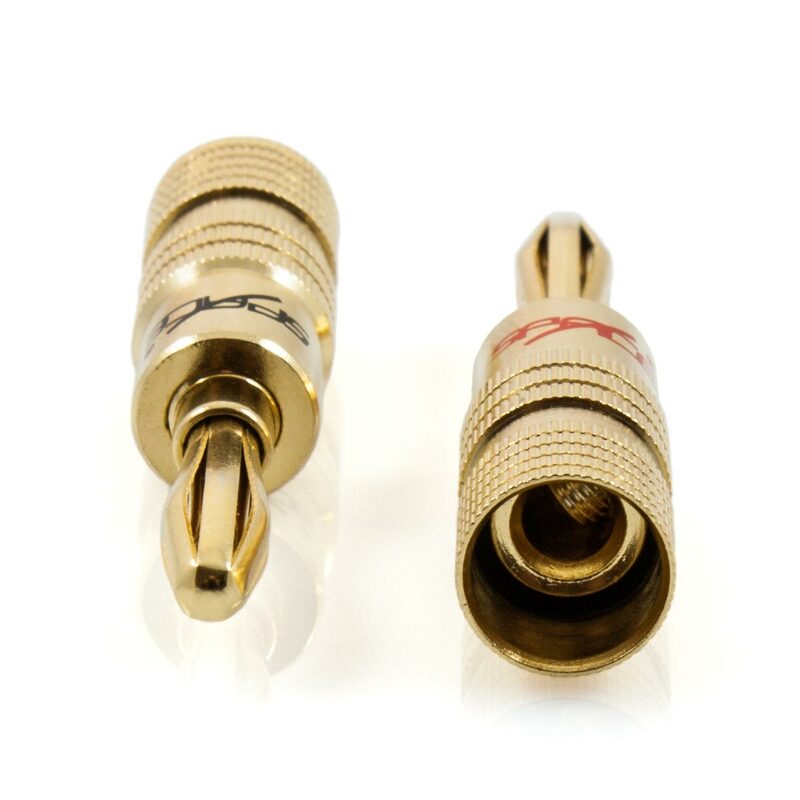 The superb 24k gold plating adds a high level of durability, which will ultimately ensure the best possible connection at all times. As each Banana Plug is inserted completely into each binding post, this will provide the best possible connection due to the fact that the connection surface area will be as great as possible. 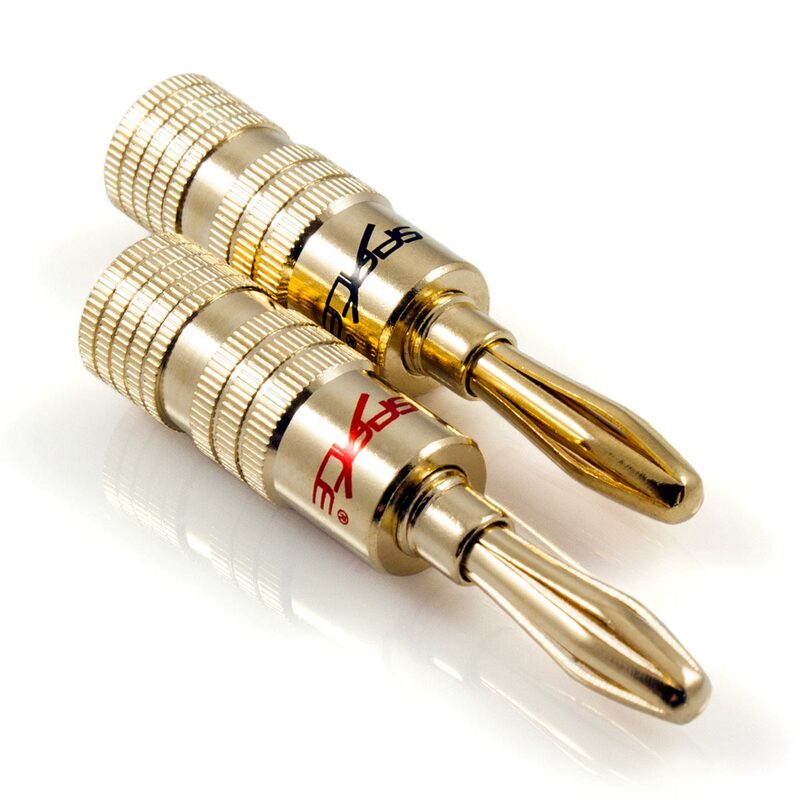 I ordered another 2 pairs of these Banana Plugs for another Amp, after hearing the difference they make compared to just the bare wire screwed into the terminals. On this Amp I had cheap plugs, $7.00 for a packet of 10 from China. The Space Hi Fi plugs were a tighter, firmer fit and made a world of difference to the sound. 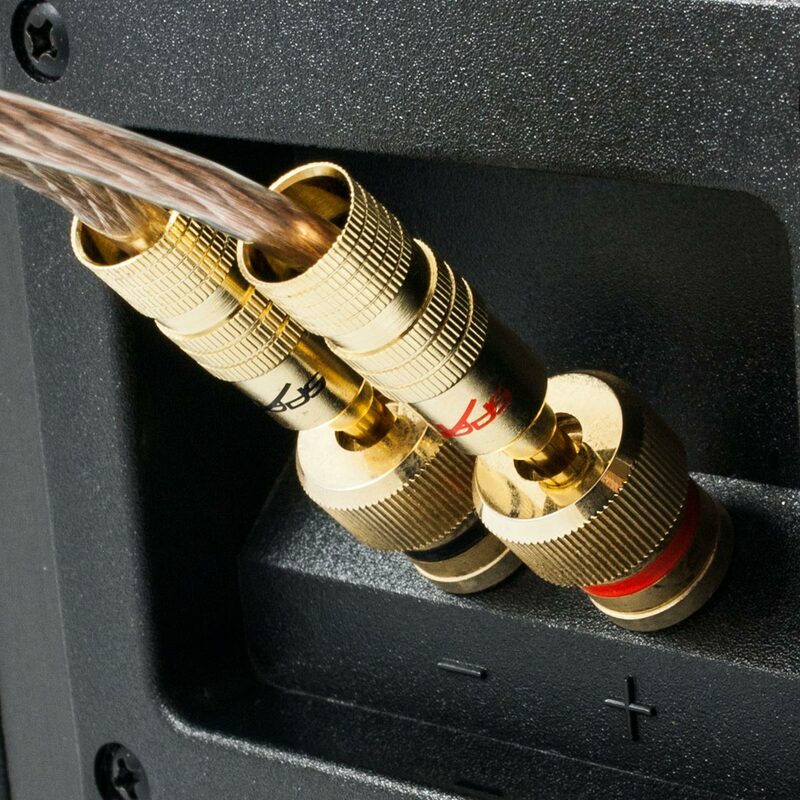 Excellent product, looks great on the receiver and speakers, a lot neater and more efficient than just sticking cables in a hole and tightening the screws. Should have bought these ages ago. Highly recommended. Many thanks for your excellent service. The product arrived today and was just as I needed. It was well made and is now installed and functioning. I would not hesitate to use your organisation for any future needs and would not hesitate to recommend you to anyone.